Every time I plan on hitting the road, I'm faced with the ultimate traveler's dilemma: should I budget more for food, or for lodging? (Unsurprisingly, I always pick food.) While I wish I had enough cash to stay in five star hotels every time I travel, sadly that is very far from the case. So, like many other twenty-something travelers, I choose to embrace the more budget-friendly alternative of staying in hostels. A hostel can either make or break your trip, but finding the perfect hostel can be a tricky feat. Here's how to find a great hostel and fully enjoy your stay! This is one of my favorite websites for researching and booking hostels. It's simple, straight-forward, and easy to use. The site itself is aesthetically pleasing, but the best part is its functionality. It's easy to find pictures of your desired hostel, which facilities and services are included, and other important details relevant to your stay. Not to mention, they have a wide selection of quality hostels to choose from worldwide. My room at Urbany Hostel BCN GO in Barcelona - one of the best hostels I've ever stayed at! Sometimes higher ratings are worth the extra few dollars per night. For instance, HostelsClub factors in cleanliness, staff, location and value into their ratings. I generally never book anything with a rating of less than 75%, and I always make sure to read the most recent reviews. I also try to check the reviews right before I depart on a trip, just in case there are any recent issues I should be aware of. Is the hostel close to the sights you want to see, or is it a 40 minute metro ride from the center of town? I always try to stay close to where I know I'll be sight-seeing and spending the majority of my time. Also keep in mind how far away the best bars and restaurants are - no traveler on a budget wants to take a $25 cab ride home after the metro closes. After years of staying in hostels, I've learned to always book female-only dorm rooms as opposed to mixed dorms. While I like making both male and female friends when I stay at hostels, it only takes one creepy roommate in your dorm to completely ruin your hostel experience. For the sake of comfort and security, booking female-only dorms can be a really smart choice. If you're traveling solo, it's important to look for hostels that promote a social environment. Look for qualities that offer an atmosphere conducive to meeting new people. "Party hostels" usually indicate that it's going to be easy to make friends there. When looking for a lively hostel to stay in, check to see if they have multiple common rooms, bars and lounges, game rooms, walking tours or pub crawls. Always check to see if your hostel offers lockers, linens, towels, wifi, hair dryers and luggage storage. Bonus points for free breakfast and 24 hour security. 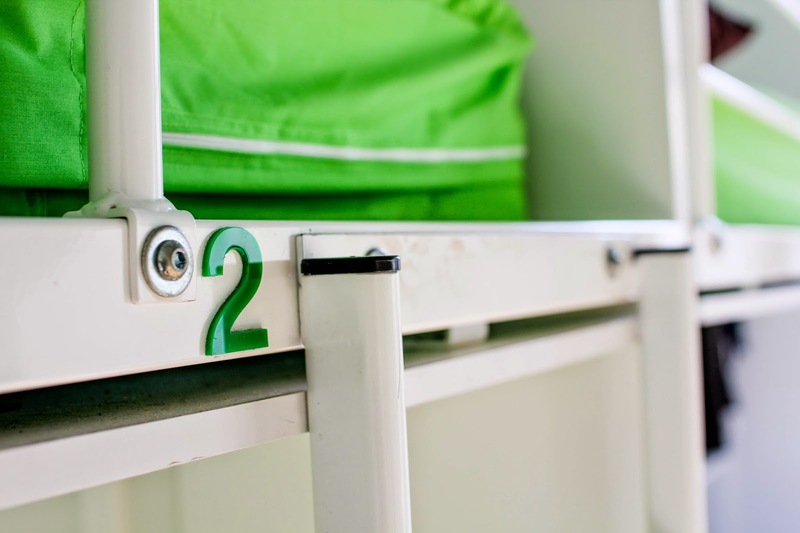 These details may seem minor, but they greatly affect the ease of your hostel experience. HostelsClub.com does a great job of clearly showing which hostels offer these amenities! Of the many hostels I've stayed at over the years, I can't rave enough about my experience in Barcelona at Urbany Hostel BCN GO. Truthfully, this is one of the coolest hostels I've ever stayed at. Besides the clean rooms and lively atmosphere, this one-of-a-kind hostel also offers a rooftop terrace and jacuzzi, a chill-out lounge with TV and videogames, free club entrances, and fun activities such as pub crawls, pasta nights and walking tours. 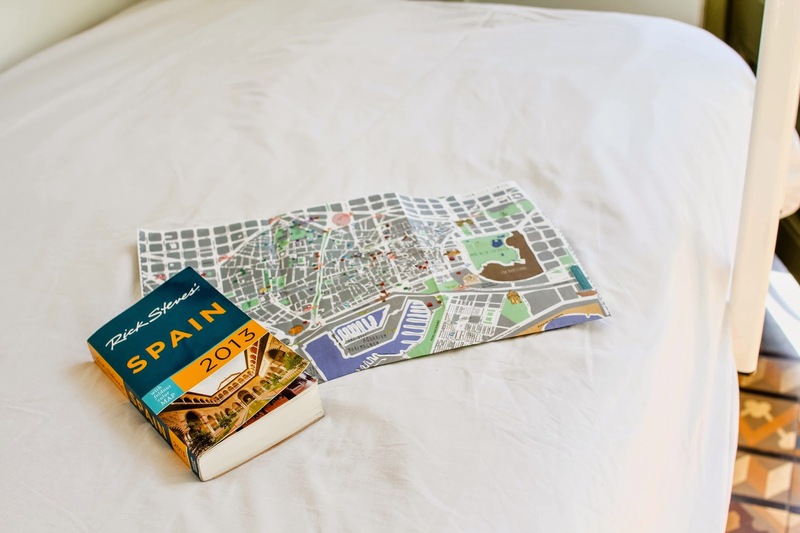 Right next to Plaza Universitat, the hostel's central location makes it easily accessible to all of the major sights in Barcelona. My room was clean and functional, and the private bathroom made getting ready in the morning all the more convenient. What really impressed me was how their employees went above and beyond to make my stay comfortable. The exceptionally friendly staff made me feel as if I were among old friends. If I have the opportunity to visit Barcelona again soon (which I seriously hope I will! ), I would stay at this hostel again in a heartbeat. 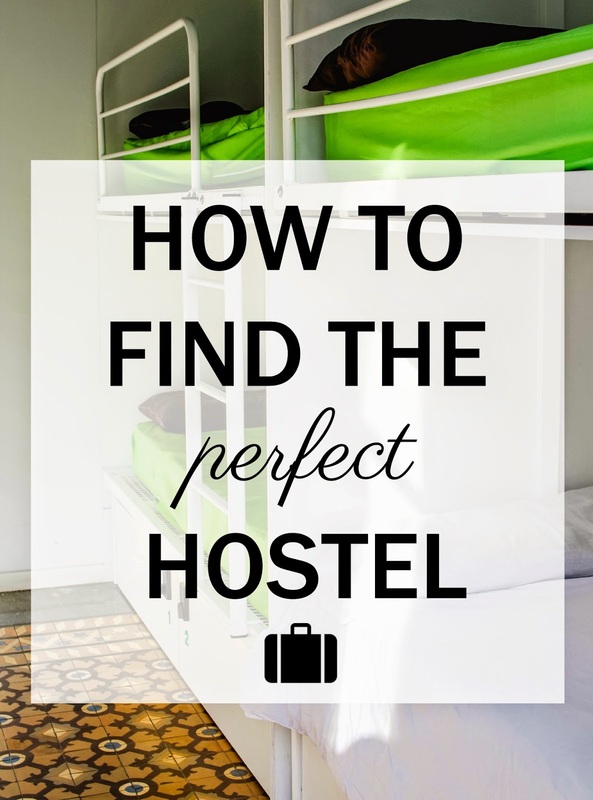 Do you have any other tips for finding a great hostel? My stay at Urbany Hostel BCN GO was made possible by HostelsClub.com, but all opinions expressed are my own. You can find out more about HostelsClub.com and their wide variety of accommodations offered here. 20 comments on "6 Tips for Finding the Perfect Hostel"
If I was traveling solo, I would definitely want a female dorm if it were available! I can recall one experience in a co-ed dorm when I was sleeping on the bottom bunk... and my bunkmate (some rando I didn't know) decided he was going to sleep (and therefore climb up and down the ladder) completely naked. Only in a hostel dorm! Looks like a fantastic hostel! It's been ages since I've stayed at a hostel (since I'm traveling less in Australia and because hotels/Airbnb are usually a better value here than hostels), but I really have had some great stays at hostels when I've done my research. I have never stayed in a hostel - well, that's not 100% accurate, I have never chosen to stay in one. Not that I wouldn't, I just never have. I would actually love to do some travelling and staying in hostel - it seems like it would be a real travellers experience, you know? I think my tip is to know your self! For example I don't sleep well if there are tons of people in a room so I use to look for hostels with small dorm style rooms opposed to huge rooms. Also people should know if they are a hostler or not! Some people, who want things to be just so, will have better luck at a hotel! I know a lot of people fear hostels for privacy reasons, but I've found there are guesthouses that label themselves as "hostels" but offer private rooms (and bathrooms in some cases)! It's nice for solo travel to have your own separate space, but also be able to walk to a common room to have a conversation with other travelers. Great post, as always! We usually stay in private rooms since we travel with a child and this complicates things a bit since we can't stay in 'party' hostels. Agreed! I really prefer booking private rooms when I can, but sometimes it can be too expensive (depending on the hostel). As an only child, I definitely prefer having my own space!! Definitely!! So true. I never get any sleep in the dorm rooms with 8+ people! It's certainly a different experience! It's not the most luxurious way to travel, but it's a great way to meet new people and see a lot of amazing places on a budget. eeesh, I think your story is much worse.... hostel creepers make me so uncomfortable! So yep, female dorms it is then! Private rooms are good if it's 2 or more people traveling together. I think it's the meeting people that I find most appealing, also the potential to make your money travel further! 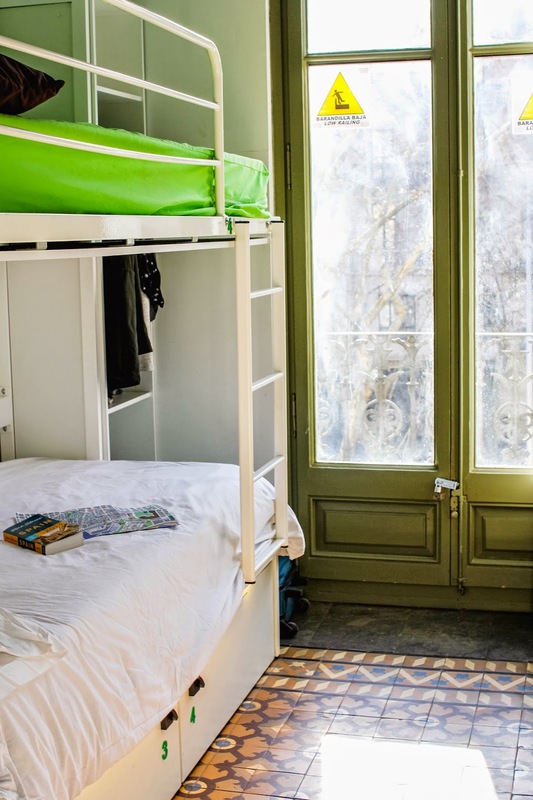 I had a really positive AirBnB experience in Barcelona, but now I want to try this hostel! All of your advice is spot-on, especially for booking female-only rooms. My coed room experience just made me feel paranoid the entire time, regardless of how much I probably magnified the dangers in my own mind! My female-only rooms have introduced me to great travel friends when traveling solo! The first time I stayed in a hostel was as part of a college trip, so not really the 'real' thing, but in Morocco I stayed in a hostel for the first 'real' time. As I was with a few other people I knew, I was OK being in a mixed dorm (though we actually ended up being female only in one of the hostels. I'm going to Barcelona this weekend but I've booked a female dorm this time, as I'll be alone, and it's not the same vibe. I have never ever stayed in a hostel before - I'm about to book my first hostel stay for the Easter weekend and the only reason I'm allowing it is because my boyfriend is coming along. I think it must be because I'm very reserved, but the idea to stay in a room with strangers, however friendly they are, just creeps me out so much. 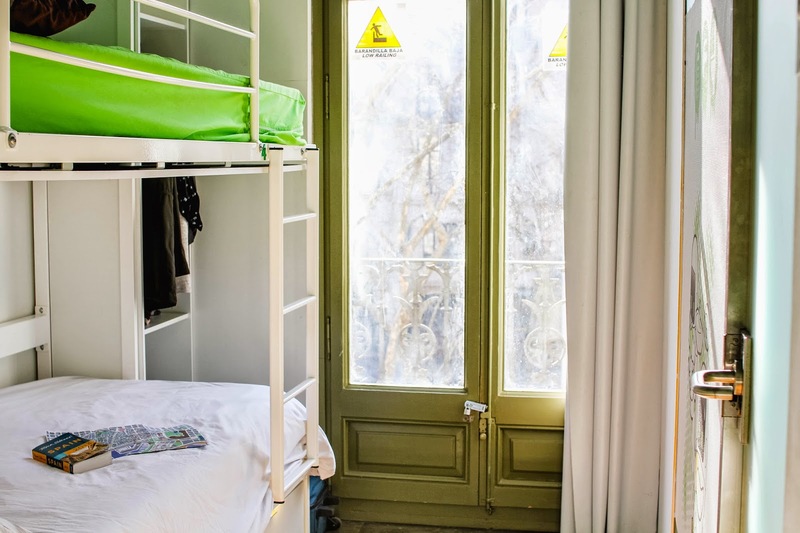 Though your photos of the Barcelona hostel look pretty damn good to be honest! This is a fantastic post, Courtney! I am sure you would also enjoy our 5 Star Hostels across Europe and the world! Please let me know if you would like to give it a try. Keep up your awesome work here, I just subscribed to your twitter!